A modernly revisited british sound for your punchy crunches and leads, super versatile. With its 20w switchable to 2w power, its tube effect loop and its versatility, the Lableue will back you up in every moment of your guitarists life. The Lableue has the special “ultralinear master volume” technology, designed to play at any level, even at very low level at night. It even has a 20w/2w for the most quiet conditions. Change your tubes yourself, at home, no equipment needed. Freely choose between 6L6 and EL34 power tubes, you can even mix a 6L6 and an EL34. 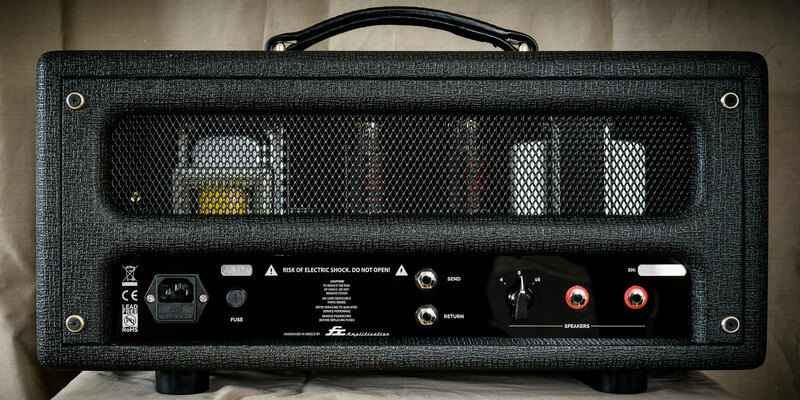 Tube buffered effect loop, 16/8/4 ohms selector + 2x speaker outputs. Single ended, Class A, 20w switchable to 2w. Available in 115v or 230v. 3x 12ax7 + 2x EL34. User swappable/mixable EL34/6L6 power tube, no bias needed. Point to point, handwired. Build time approx. 4/5 weeks. 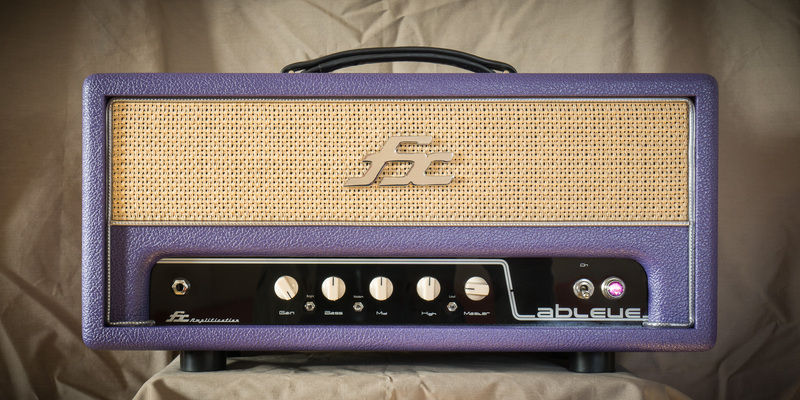 Celestion g12m creamback (Fxamps 1×12″ classic).